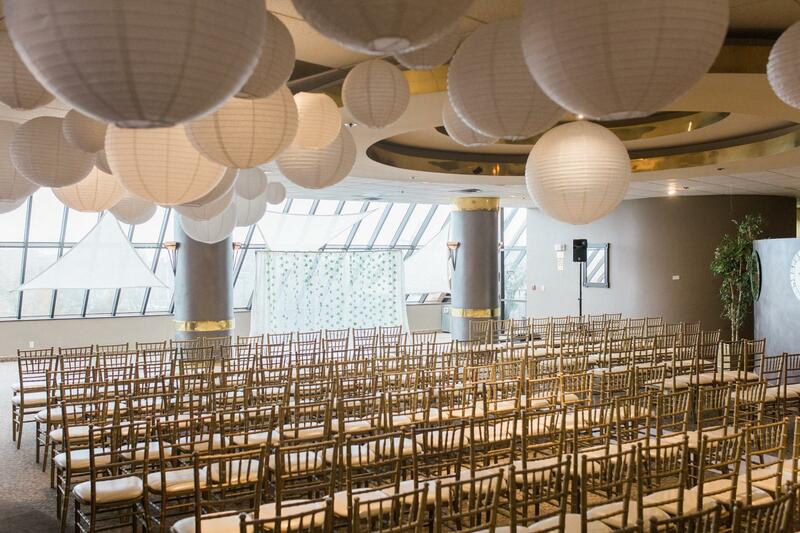 Rent Marina City Club | Corporate Events | Wedding Locations, Event Spaces and Party Venues. Unique Private Club located in the heart of the Marina; with gorgeous views, 360* bar and two dance floors! All food and beverage, staffing and set up are in-house; customized menus and bar packages available. We do allow Outside Catering. Our beautiful venue is located on the marina, reflected through floor to ceiling windows, perfect cocktail hour area, raised dinner area and stage seated upon a perfectly shaped dance floor, great for business meetings to wedding receptions, and everything in between. All catering is in-house and known to be wonderfully delicious! Only one event per day insures yours is top priority. Custom menu and bar packages available. Winner of "The Best Of" 2012, 2013 & 2015 from The Knot. Banquet Manager and/or Captain is always on hand to ensure perfection. Venue viewing appointments available on weekdays and weekends. All day buy-outs available. 5 hours of time slots for events/receptions, one hour for ceremonies. Music ordinance requires none after 11:00pm, guests must be exited by midnight.